Hello guys! This is your very own Steve Sadiq with Steve Apple Solutions. I have been writing since a long time for iPhone, iPad, Apple TV, but yesterday it came to my mind that, it has been quite a long time that my fans have not read from me about my love, that’s Mac. The pleasure that MacBook gives me, no other machine can provide that. My 1st love is Mac and that’s why I have named this site as mac smack and not apple smack. Do you know? How to Reset MacBook Pro. If you don’t know, today you will definitely. Macbook has no match if we talk about laptops. This amazing piece of art by Apple doesn’t allow anybody to come even close to it in terms of performance, technology, style, built. That’s why I always say that never compromise on your MacBook. The built is sublime. You can easily keep it with you all the time. This is truly called the book. But I am getting the feeling that you are having plans to change your MacBook that’s why you are here to learn about, How to Reset MacBook Pro? Why do you need to reset your MacBook? 0.0.1 Why do you need to reset your MacBook? Telling you honestly, it’s very hard for a Mac user to switch to any other device. But yes, the Mac users always keep on seeking information about new models and replace their older versions with the newer ones. Normally people feel the need to reset MacBook to default factory settings when they have to sale the MacBook and buy the new one. 2nd when they encounter special issues which can only be fixed by resetting the device to factory settings. The most Valuable thing in Your MacBook? Yes, you have got it right. It’s the data. The data is the most valuable asset that you have on your MacBook. In the days of the Modern era. You cash in the bank is always linked to your online business account, whose credentials are also saved in your browser. All these things make you MacBook you the most important asset. If the data is somehow shared with anyone, you’ll be in trouble. Therefore it’s always advised to keep strict locks on your devices and never share the password. Now that you want to wipe away all data, it is also extremely essential to take a backup of the entire data. Once the Data is safe and checked, you are ready to go. What I recommend for safety is that. Buy an external hard drive, it’s just like USB pen drive, but larger in size. Plugin your hard drive to your MacBook and copy and paste all the data on your external hard drive. This would make the replica of your data. Carefully check all your data. Now create an excel sheet. Use 3, 4, 5 columns and Sr. No. Account Title, Login, and password. Save all your internet accounts credentials like social media details, bank account details, login passwords, other passwords. In short note down all the things and take backup in this way. Keep the external disk in a locker out of the reach of everyone. Now you are all good to go. Your most important asset is now in a safe and sound place. If you are following my articles regularly, you might have checked, how to reset iPhone and iPad. This method will not be quite unique. Always remember, the first step of resetting any device is to backup your device. And the last step is to restore the data if you want to keep it for your personal use. After you have taken the backup of your data, you need to follow the following steps and your MacBook will to an unblemished factory state. It will be just like you have opened the box for the 1st time and turned it on for the 1st time. The device will have fresh, fast and clean HDD with a new installed Mac Operating System. For your ease and convenience, I am going to provide you a step by step guideline to make the process as easy as I can. These steps are as follows. You all are familiar with the iCloud. It’s the data storage place. You log in to your iCloud using Apple ID. If you forget your Apple ID you can recover here. Click Delete from the Mac. (Or click ‘continue‘ on each popup if you are using an earlier version of Mac Operating System. Signing out will also remove any Apple Pay card information if you have a MacBook Pro with Touch Bar. 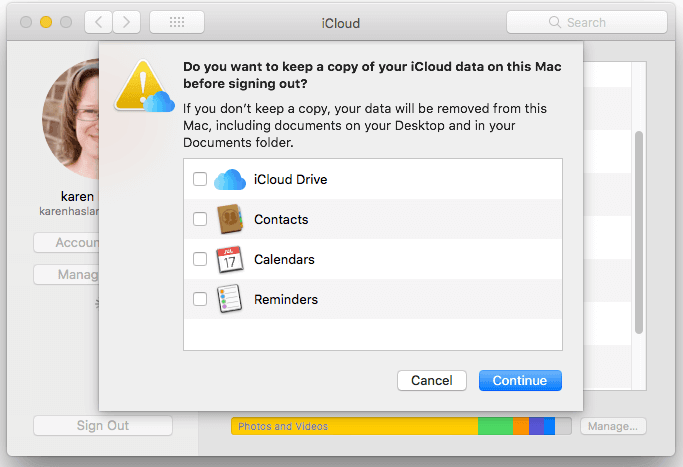 If you have any iCloud files that were created on that Mac they will be archived into your home folder (so remember to copy them to your backup). If I tell you in very simple language, this means to Dlink you Macbook to iTunes. 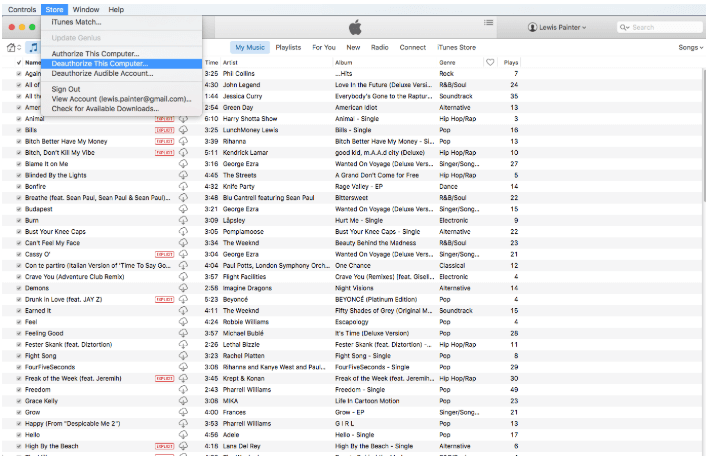 As your MacBook and iTunes are synchronized. You should have to deauthorize these two. As you deauthorize your MacBook from iTunes, you MacBook will no longer be connected to your iTunes. You must be thinking. What is the benifit of doing it. Don’t worry, i’ll explain everything in detail. Step By Step Method to Deauthorize Macbook and iTunes. Goto iTunes > Account > Authorisations > De-authorise This Computer. You will be asked for Apple ID and Password and click De-authorise. If you don’t find these settings, this means you are using an older version of the Mac OS. Well, you can try this method. Go To Store > Deauthorise This Computer. Do you know about File Vault? If you don’t know, it’s not a big issue. Basically File Vault is the security funcition for files and folders on the hard disk. It Encrypts the files and folders. 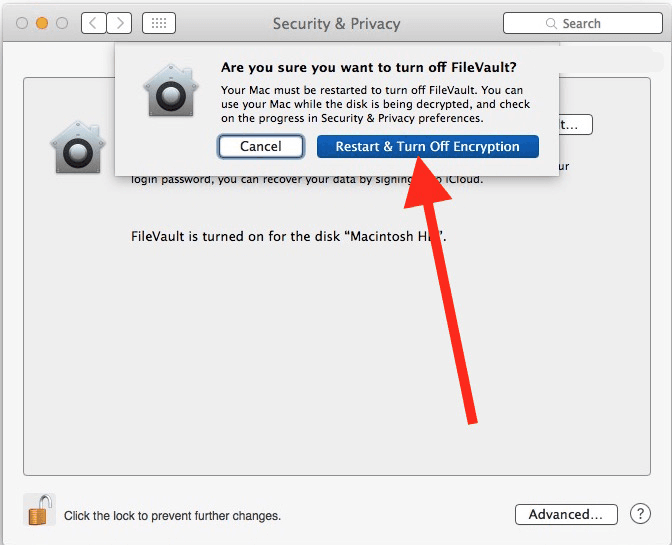 Therefore when you are resetting your Macbook to default factory settings, it is beter to disable encryption so as to avoid any loss. System Preferences > Security & Privacy > FileVault. Check that it says ‘FileVault is turned off for the disc [name of main hard drive]’. If not, click on the padlock icon in the bottom left, enter your password and click on Unlock. 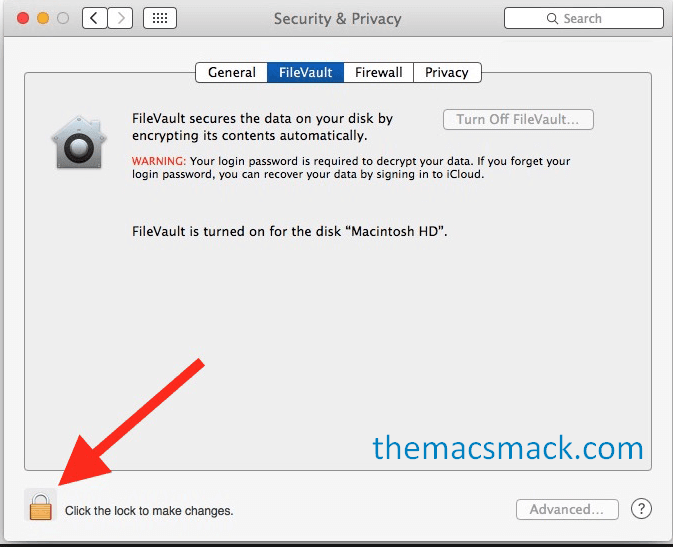 Now click Turn Off FileVault. Now that you have turned of iCloud, iTunes and File Vault, this is time for you to let the Mac do its work and you relax. 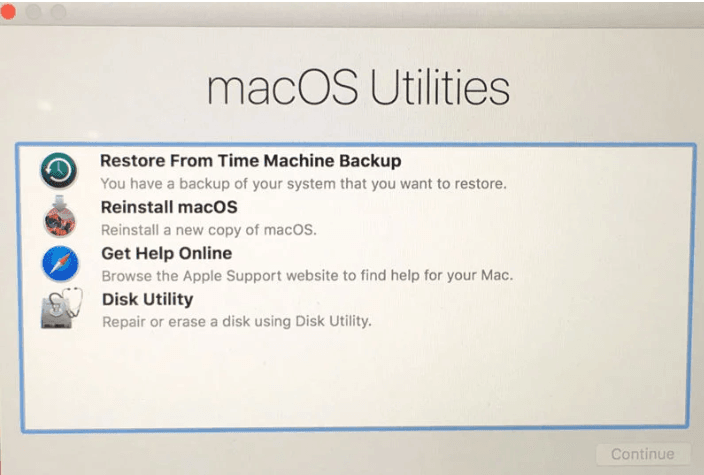 There are multiple ways by which you can enter the Mac Recovery mode. But i have decided to choose the simplest one for you for your convenience. keys and keep on holding them till you see a spinning globe or an “Apple Logo”. Apple recommends that “if you’re selling or giving away a Mac that is using OS X El Capitan or earlier, use Option-Command-R to make sure that the installation isn’t associated with your Apple ID”. Read about the three different key combinations you can use to enter Recovery Mode, and the differences between them, here. After you have completed all the step successfully, you need to wipe away all the data from your Hard disk. You may call it disk format, erase disk data. The core purpose is that you have to clean you hard disk and remove all data from it. Goto Disk Utility > Click Continue. Note that this remove/format/erase all your data permanently from the hard drive so don’t do this unless you’ve cloned the drive. Taken proper backups. Unless you have not checked your backup properly, don’t take this step as you can lose all your data. When the process will complete, it will prompt you to quit. 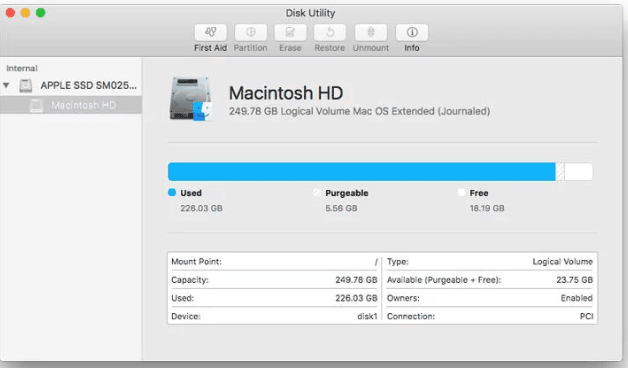 Quit Disk Utility. Now if you have to sell your Macbook it’s ready to go. You have successfully backed up your data and also removed all the data from hard disk and reset the MacBook to default factory settings. Now if you were resetting the Macbook pro for resale, it’s ready. But if you want to use it further, you will definitely have to install Operating System on it and also restore the backup on your Macbook. This is simple. You will love this process. If you don’t want to restore an older version. Your MacBook will start downloading file to install new MAC OS. Now, you have a fresh and fast, bug-free MacBook. Now you have to reinstall the Mac Operation System on the device so that you can use it. After that you will have to restore your data to Macbook. As you restart after resetting your MacBook, you will be asked to Reinstall the Operating System. The 2nd possible option is “Reinstall X operating system”. Just listen. Carefully read the Instructions displayed on the screen. Keep following that. In this way, you will be able to download and install a blank copy of the Operating System of Mac. As the device reboot after the setup will complete. You will be asked to provide your Apple Id. Sign in to your MacBook using your Apple ID. I have also shared the method with you about how to reset your Apple ID if you forget your password or if your Apple ID disabled. I fully hope that this article will be very helpful in letting you that that, how to reset MacBook pro. You are new to computers, you don’t have much knowledge but you can read and execute the things, this is more than enough. This is a very important disclaimer for your safety as your safety is very dear to me. Take the proper backup of your MacBook on external Hard disk and carefully recheck the backup very attentively. So that if anything gets wrong by mistake, your data will be secure. If you are not confident then its better to contact Apple support or visit your nearest Apple Store. 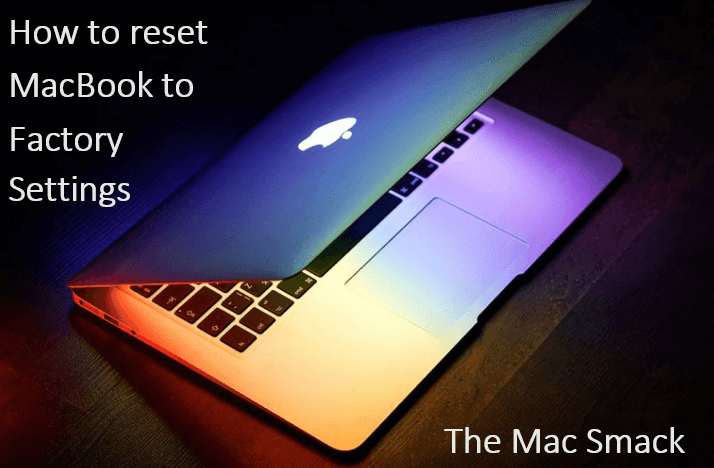 Using these simple step by step processes yor can reset your MacBook pro. Kindly provide me the feedback about today’s article. Was this article proved to be useful if you? Did you like this article? If you have further questons, you can ask me in the comments sections or you can follow me on my social media. That’s me Steve Sadiq signing off for today.